First of all, if your filing status is married filing separately then you can’t convert a traditional IRA to a Roth IRA. Like all good rules, however, this one has an exception… If you lived apart from your spouse for the full year, then you are still potentially eligible for a conversion. But you still have to satisfy the other criteria. Second, you can’t do a conversion if your modified adjusted gross income (MAGI) is more than $100, 000. The tricky part here is that this limit is the same whether or not you are married, so it’s a lot easier to qualify for a conversion if you’re single than if you’re married and both you and your spouse work. Third, if you inherited your IRA from someone other than your spouse, then you can’t convert it into a Roth IRA. 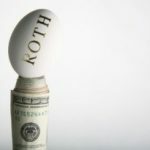 You can’t currently roll an employer plan directly into a Roth IRA. Rather, you need to roll those funds into a traditional (or SEP) IRA and then do the conversion from there. SIMPLE IRAs can be converted, but only after you have participated for two full years. Until then, you can only roll a SIMPLE IRA into another SIMPLE IRA. Assuming you qualify for a conversion, you can convert all or only a portion of your traditional IRA funds to a Roth IRA. 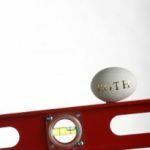 Keep in mind, however, that a conversion is a taxable event, and you can’t pick and choose and convert only the non-taxable portion of your IRA (nondeductible contributions can be rolled over tax-free since you’ve already paid taxes on them). 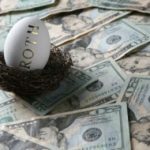 Finally, while you are limited to rolling over an IRA (traditional or Roth) no more frequently than once every 12 months, this rule doesn’t apply to conversion from a traditional IRA to a Roth IRA. I’m pretty sure that we’re in the clear, although I’m still unsure where our modified AGI while wind up for the year. The good news is that I can just go ahead and do the conversion (it has to be done before December 31st) and then just fix (i.e., recharacterize) it later if need be. I just have to have things sorted out before our taxes are due. For YE 2005 I contributed $2,210 to a traditional IRA. I just found out that I was not eligible to contribute. My total income for 2005 was $155,000 and $144,000 for 2006. 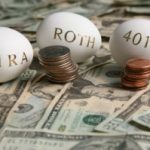 I am thinking that I have to amend my 2005 return and convert the contribution from traditional IRA to a Roth IRA. Please let me know if I am missing anything.